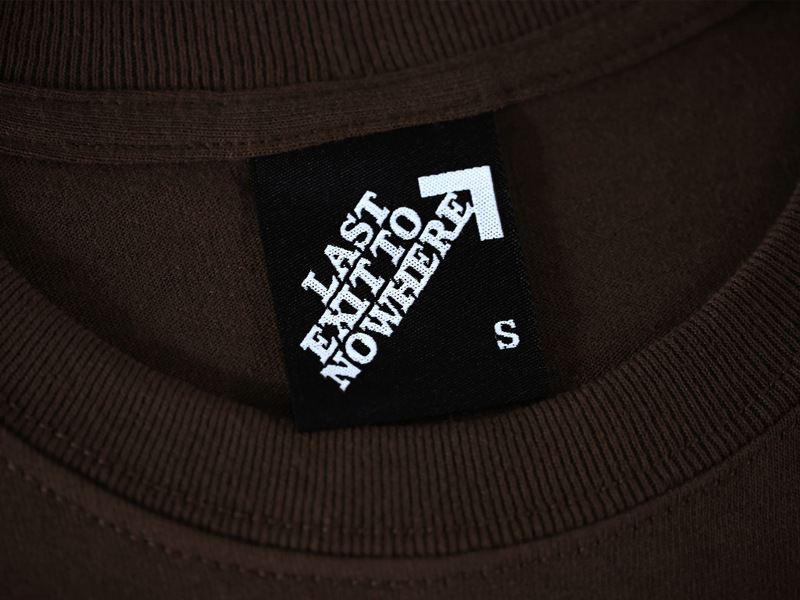 A two colour design, hand screen printed on a regular fit 100% cotton brown t-shirt. 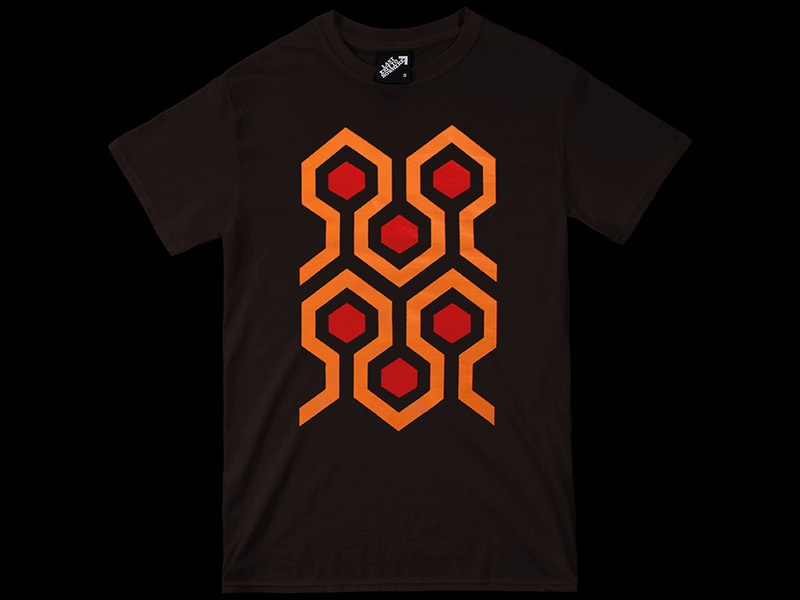 Inspired by the iconic carpet pattern featured in the 1980 film, The Shining, a 1980 horror film directed by Stanley Kubrick and starring Jack Nicholson. Hi, just wanted to say you guys rock! My recent order arrived here on Vancouver Island, Canada today Tuesday, only ordered it on Thursday - top service. 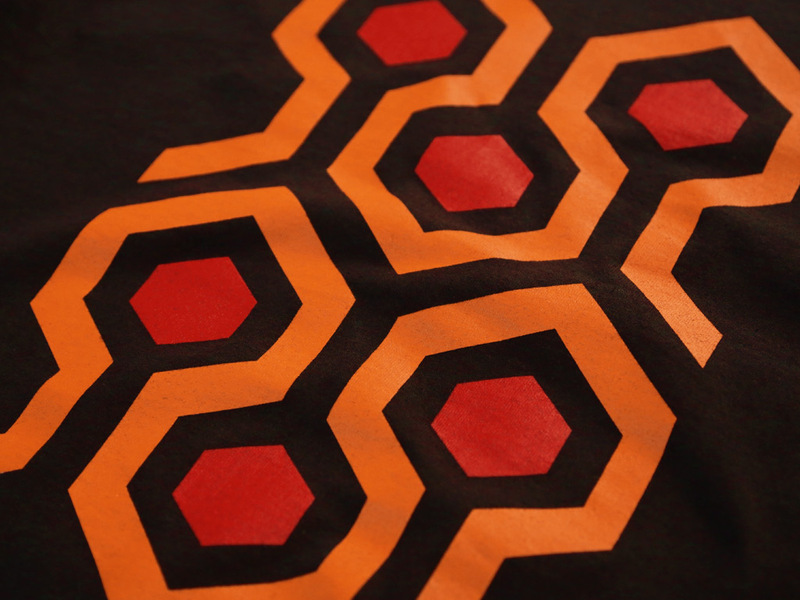 This is the third time I've ordered from you and will be making many more, so much to choose from.... need a bigger wardrobe.